The ‘Hei, me sävelletään!’ (‘Hey, We’re Composing!’) composition projects are the orchestra’s creative musical education scheme for children, in which the children, together with musicians from the orchestra, compose small works. The subject is selected from the orchestra’s current season programme, and it is worked on at composition workshops, based on the instructions and inspiration given by the musicians. At the project’s final concert at the Sibelius Hall, the groups perform their own compositions and, finally, the orchestra plays the main work. Admission to this final event is free. Each year two projects are arranged, one in spring and one in autumn. 3–4 groups at a time take part, mostly made up of primary school pupils. Also participating, once a year, are groups from the orchestra’s ‘musical godparent’ partners, Ruoriniemi Kindergarten and Kivimaa School. Participation in the project is free. Add your name to the waiting list by contacting kristiina.palvanen@lahti.fi. The ‘Hei, me sävelletään!’ music education scheme was originally based on the workshop methods of the London Sinfonietta, which the Lahti Symphony Orchestra developed into its own venture. 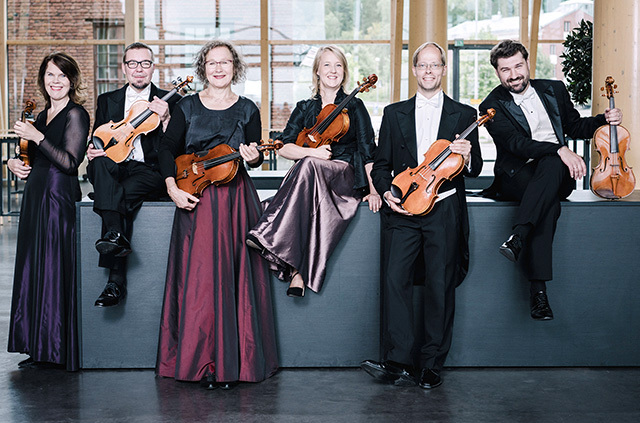 The 46th project Wed 10th October at 5 p.m. Sibelius Hall.